Coats and boots — Prepare for cold weather or flooding with some heavy-duty raincoats, winter coats, hiking boots, and rain boots. First aid supplies — Include these items in your kit: gloves, surgical shears, antiseptic wipes, bandages, pain relieving medication, antibiotic ointment, cotton-tipped applicators, sterile gauze pads, a thermometer, tweezers, and other items so you can cover all the basics. Flashlights, lanterns, and backup batteries — Prepare emergency light sources so you aren’t lost in the dark during a disaster. Consider getting some solar flashlights for when you have to be on the move. Hand crank radio — Stay up to date on the latest news and weather reports with a hand crank radio. Hygiene essentials — Don’t forget the toiletries and stock up on soap, toilet paper, toothbrushes, toothpaste, feminine products, deodorant, and razors. These items will ensure that everyone stays hygienic. Multi-tool knife — Aside from weapons, your home survival kit will require some tools. With a multi-tool knife, you’ll have most of what you need literally in the palm of your hands such as a screwdriver, pliers, or a mini saw. Pet supplies — Make sure Fido has his own bug out bag. Your pets will also need survival supplies like food, blankets, bowls, a leash, pet first aid supplies, and a toy to keep them occupied. Sanitary supplies — Epidemics also pose a danger, along with unclean conditions due to natural disasters. Prepare for a dangerous outbreak by stocking up on adhesive sealing masks with eye shields, anti-bacterial and anti-virus lotion, anti-bacterial wipes, biohazard bags, biohazard suits and gloves, and antibacterial soap. Sleeping bags — Try to stock up on several reflective sleeping bags that are comfy and can withstand harsh weather. To avoid hypothermia, get sleeping bags that have heavy insulation, fully waterproof materials, and low temperature ratings. Water purifier — Water is an important resource during emergency situations, and you can make life easier for your family if you have a water purifier. You’re all set if you have a way to filter and treat water. Rainwater will do in a pinch, but it must be treated before it can be potable. Feel free to prepare more items for your home survival kit, and don’t forget to show your family how to use each item so they’re prepared for when you have to deal with a survival situation. Candles, matches, a lighter, and fire starters — Consider getting some waterproof matches and a lighter so you have ways to start a fire no matter what. Pepper spray — If you’re averse to guns or do not have the time to train for how to handle one properly, pepper spray is a suitable alternative. Light sticks — You can’t have too many portable light sources. Durable water bottle — You’ll need a way to store water from your purifier. 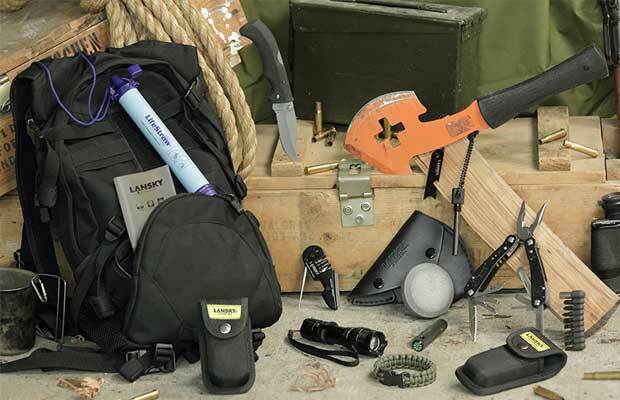 You can learn more about prepping and survival gear at Bugout.news.